……..but I’m back like I never left. I needed to take some time and reflect on some things. Life has been coming at me pretty hard and it had become very overwhelming. I realized that sometimes you just need a break, and its okay to take one. I felt as though I was just running through life with no destination. With the amount of stress that I allowed to build up and in effort to try my best to make the people who are important to me proud, I ended up burning out. I am guilty of being the type of person that NEVER wants to ask for help. I will continue to try every avenue I possibly can before I will reach out to anyone. I try to suppress my problems to keep from being a burden on others. It has been a frustrating year because I’ve been working so hard to accomplish my goals and reach for my dreams and every time I felt that I was getting a little closer it was as if someone came in and snatched the rug from under my feet causing me to drastically fall back down to square one. It’s interesting because I’ve realized that this has been a continual cycle for quit some time within my life. I have often found myself in these binds and although I try to figure it out on my own, it seems I make it worse by prolonging the problem when I could very well ask for help. Don’t get me wrong, I am very humble and grateful for my support system because I know that all I have to do is ask and they will be there for me but do you understand how it feels to just want to make IT???? I just want to be able to do IT. Whatever IT may be!!! IT could be starting a successful business. IT could be becoming Debt-Free. IT could be getting up and exercising. IT could be accomplishing at least one of my goals. IT could even be something as simple as being able to pay all my bills every month without having to ask for any help. I would love to one day look at my daughter, my mom and dad, and say “Look, I made IT!!! !” I don’t think this is something so complex that it is unattainable. I had to take some time to myself but I will NEVER stop fighting to be where I want to be. They say they hard work pays off, well with as hard as I have been working and will continue to work I know that the size of my blessing must be something beyond what I could even imagine so I’m just going to continue to push towards it. In encouraging myself today I hope that I can encourage someone out there like me. The tunnel may seem dark right now but if you just keep walking that little spec of light up ahead will get bigger and bigger. Although you may trip and fall or run backwards sometimes. Although you may stop walking and give up and try to get comfortable where you are, you will never be comfortable because deep down you know there is something up ahead that is better for you. Its okay to take a break but don’t get comfortable. As you walk through the tunnel, if you come across someone who is genuinely trying to help you, don’t be afraid to accept it. No matter what you have to keep walking and before you know it you will look up and realize that you’ve made IT!!! Whatever your IT may be, just do IT!!!!! 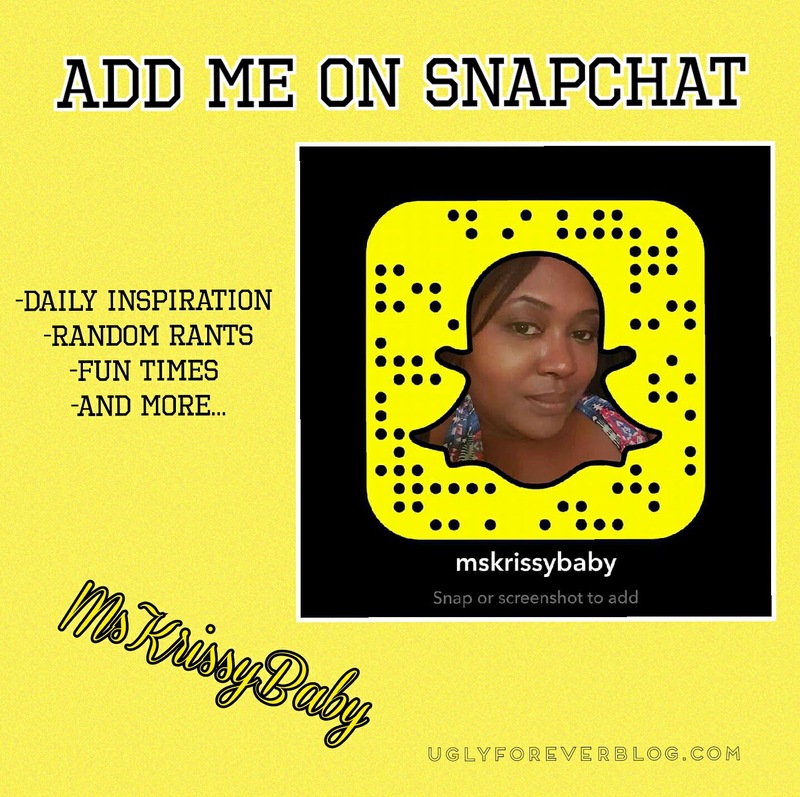 Posted in Inside the Mind of Krissy G, Motivational Mondays.Tagged Achieve Your Goals, Aspirations, Follow Your Dreams, Krissy G, Love Yourself, Manifestation, Motivational, Self Esteem, Self Love, UGLYForever, Weight Loss. you are always the best motivator ma’am, keep the up the spirit and I hope you achieve your goals. Thank you!!! I’m glad you were movtivated!!! Thanks for always being so supportive. I used to believe that to be present you need to be on the go all the time. I now realise this is false. We all need time out to be ourselves and find who we are. What else do we have? I loved your latest post. You are so right. Thanks for reading and sharing your thoughts!! !